Donald Trump's St Patrick's Day hats have disappeared from his website. Trump's green 'Make America Great Again' hats weren't quite the success he thought they'd be. The hats went on sale last week ahead of St Patrick's Day celebrations on March 17 but The New York Times has reported that the hats disappeared from Trump's online store on Wednesday. At US$50 (€47) the hats were double the price of the original red caps that dominated his presidential campaign. They were also embroidered with a four-leaf clover. A plant that has nothing to do with Ireland or St Patrick's Day. Twitter users were quick to point out the big mistake. One called out the error by illustrating the difference between a shamrock and a four-leaf clover. She added: "Don't mess it up, #marketing geeks, for #StPatricksDay." Another user said the mistake made the president "culturally clueless". Another dubbed it a scandal, using the hashtag #shamrockgate. 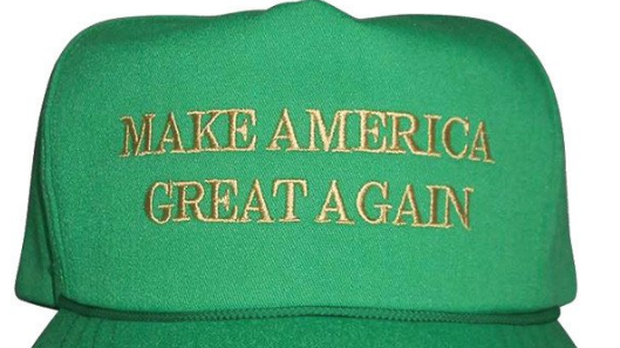 Irish social media users were also quick to point out another error, as a GOP tweet promoting the hat referred to Ireland's national holiday as "St Patty's Day".